Wales host Denmark at Principality Stadium in their final match of the Nations League group stage. With promotion to the top tier of the Nations League at stake, a tight contest is expected in Cardiff. This post contains our Wales vs Denmark betting preview with betting tips, predictions, starting lineups, team news, best odds, exclusive promotions and no deposit free bets! Wales have claimed two wins from their three matches so far and are currently top of the group with six points, two above current opponents Denmark. The Dragons secured a hard fought 1-0 victory away at the Republic of Ireland in their previous UEFA Nations League fixture. Their only competitive defeat so far came 2-0 in the reverse fixture against Denmark. Having missed out on the World Cup, they can secure a play-off place at the Euros in two years if they hang onto first place. Ryan Giggs' men have scored in 10 of their last 11 home matches. Gareth Bale limped off the pitch with Real Madrid last weekend but looks set to feature from the off against the Danes. Elsewhere, Ryan Giggs will be without defenders Neil Taylor and Chris Mepham. Tom Lawrence, Aaroon Ramsey and youngster David Brooks will support Bale upfront with Joe Allen and Ethan Ampadu anchoring the midfield. The four man backline will be probably formed by Paul Dummett and Connor Roberts as full backs, James Chester and Ashley Williams as center backs. James Lawrence of Anderlecht and Swansea's Daniel James will hope to make their international debuts over the next two games. Denmark impressed when they were in Russia this summer, reaching the last 16 with some solid defensive displays. They are coming off a 2-0 victory over Austria in an international friendly back in October. The Danes will leapfrog Wales into first place with a win on Friday night and secure top spot with a game to spare. They enter this clash on the back of a 2.0 victory over Austria. The Danes have kept a clean sheet in each of their last three fixtures and in 9 of their last 12 outings. They exited the World Cup without losing a match in normal or extra time and the only real blemish on their recent record was when a shadow team lost 3-0 in Slovakia. Simon Kjaer will miss out through injury but manager Age Hareide will be happy to have Christian Eriksen in his ranks after the midfielder missed out on last month's matches. Kasper Dolberg and Martin Braithwaite compete for a starting berth in attack, while Pione Sisto and Yussuf Poulsen are expected to start out wide. The likes of Lasse Schone and Thomas Delaney will play in the middle of the park while Zanka Jorgensen and Andreas Christensen will form the centre back pair. BetAndSkill regularly compare odds from 70+ online betting sites, in order to provide you with the highest odds on every match we analyse. Wanna know which bookmaker is offering Best Odds Guaranteed on football, which are the price boost offers for today or which are the bookmakers with the highest odds on average? We got you covered! As you know, UEFA Nations League matches are difficult to predict. Anyway, our expert tipsters have an impressive record onthe International football and you can find below our free tips on Wales v Denmark. Our football expert provide you with most accurate predictions on all the biggest games, from the Premier League to Championship, form Bundesliga to La Liga betting tips. Here at BetAndSkill.com you will find our most accurate tips and match previews that include over/under tips, first goalscorer tips, anytime goalscorer tips, both teams to score (BTTS) tips. If you’re new to betting, a good place to start is our Betting Guide hub, a collection of the best tutorials and betting strategies that will help you improve your skills. 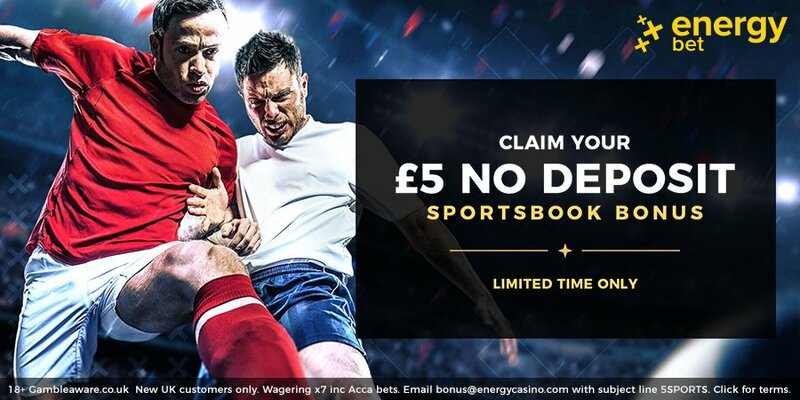 Visit our free bets with no deposit page, choose your no deposit offer and combine them with our picks on Wales vs Denmark right now! Follow us on Twitter, don't miss a winning pick anymore! "Wales v Denmark Predictions, Betting Tips, Odds & Lineups (UEFA Nations League - 16.11.2018)"